fishing ports of Lushes Bight & Beaumont. "No roads. No ferry service. The seclusion was almost a blessing. There was no outside competition for the abundant resources which this small northeast coast island had to offer. A lavish fishing ground brought hardy folk to Long Island in the early years. Before discussing the early recorded settlement, it should be mentioned that natives, too, are a part of Long Island's history. There are two places on Long Island, North China Head and Chipman's Hill, where relics from Micmac and Beothuk settlement have been found. Because little of Long Island's native history is recorded, not much more can be said. As for the first recorded settlement, the earliest census including Long Island showed 14 people in 1836. However, people say there was permanent settlement as early as 1800. A headstone has been found dating back to the 18th century. 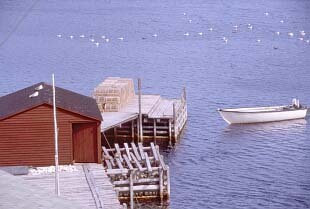 Of course, many fishermen were visiting the area during the summer months at this time. 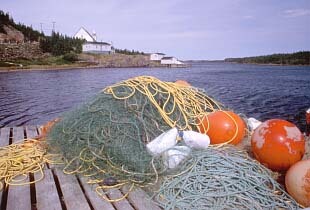 This is because the fishing grounds were so good. Long Island is divided into many smaller communities. Today it is comprised of Lushes Bight, Beaumont South, Beaumont North and Beaumont Central, but in earlier years there were other names for these communities. Lushes Bight has always carried its name. It comes from a man named Lush who fished there in the summer. The first permanent settler here is believed to have been James Parsons. 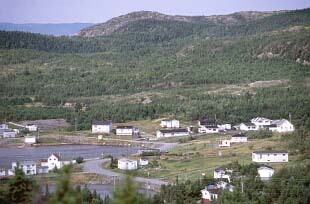 Beaumont North was at one time called Ward's Harbour and was first settled by one John Jones. 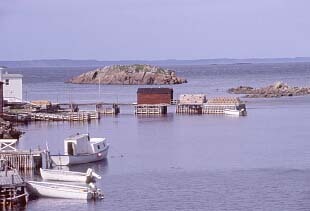 Beaumont South and Central used to carry a couple of different names as well; Cutwell Arm and Quinton's Cove. 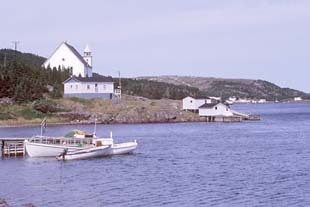 The first man to settle in Cutwell Arm is believed to have been Jonas Cole, while in Quinton's Cove families by the name of Burton and Short had taken up residence. Even today, some of the local residents, especially the older people, use the old names."